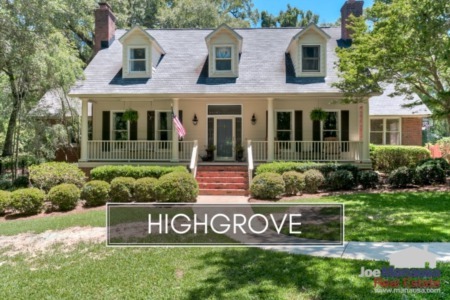 Located on the west side of the Thomasville Road Corridor and providing quick access to town, Highgrove has been a Tallahassee favorite for more than thirty years. With the majority of homes built in the 1980s and 1990s, most of these homes are either renovated and ready to occupy, or offer "great bones" and are prime for renovation. Highgrove is a rare opportunity for the fortunate buyers who understand just how special these homes are, offering A+ location on very large subdivided lots. The following list of homes show all current, active listings in Highgrove. If nothing is shown below, it means that there are no active listings in Highgrove (and our information is updated every 15 minutes). It is important to note that the narrative contained below is for sales through December for all previous years, but through the third of April in 2018. The graphs and the closed sales table will be continuously updated into the future (meaning bookmark this page if you always want to know the current status of homes for sale in Highgrove). The average home price in Highgrove last year finished at $422,000, but with so few listings here, prices could end up much higher or lower in 2018 purely based upon whether or not the homes sold have been updated. 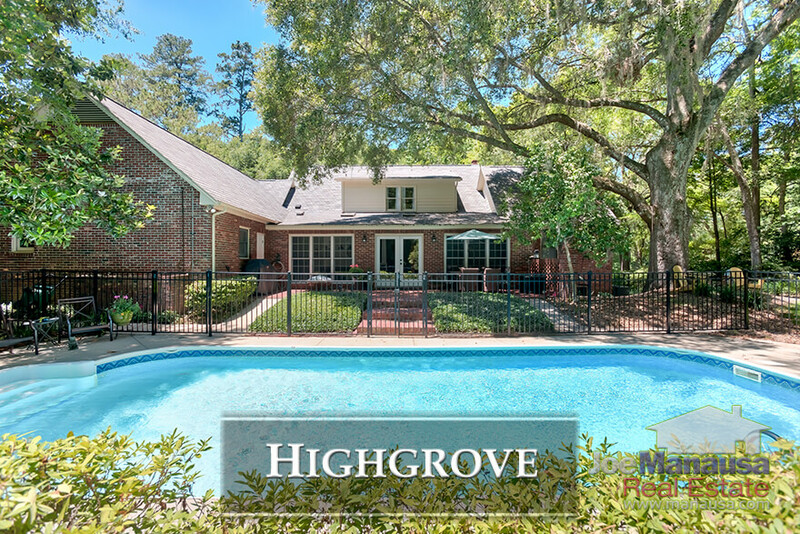 The pace of home sales in Highgrove, like many other popular NE Tallahassee neighborhoods, is totally in the hands of existing homeowners. 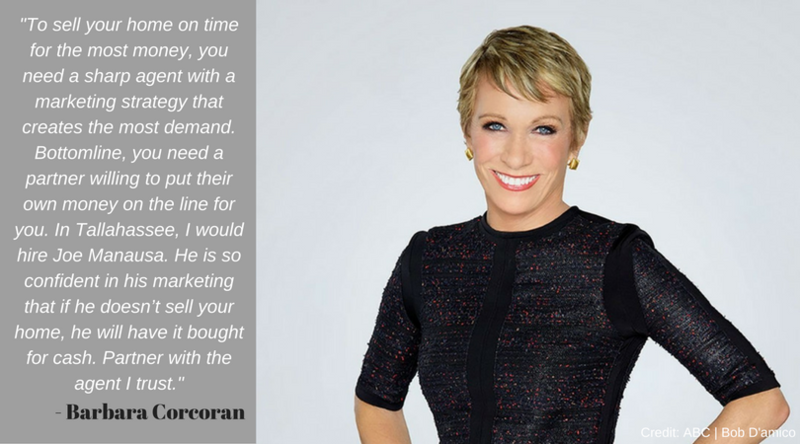 To be clear, there are many more buyers than sellers for homes here, thus a properly marketed home should sell very fast, even at these prices. 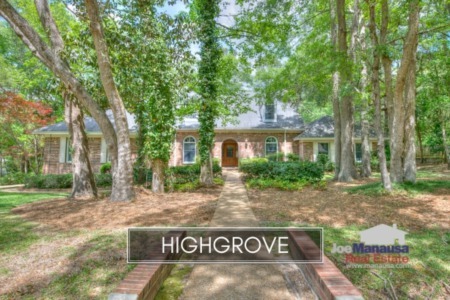 Currently, there is just one home for sale in Highgrove, and we listed it in the MLS last night. Don't expect it to last! The average Highgrove home value rose 4% in 2017, and we expect the same or more this year too. The average value of a home sold in Highgrove last year was $130 per square foot. Home values in the neighborhood will be strongly influenced by the effective age of the home (the current state of upgrades and renovations) but overall, the market is moving higher. The average home size in Highgrove typically falls in a range of 3,000 to 3,600 square feet, and the average in 2017 was right in the heart of this range. The 10 home sales in 2017 averaged 3,309 square feet. The following list shows more than 230 home sales in Highgrove going back to 1991.